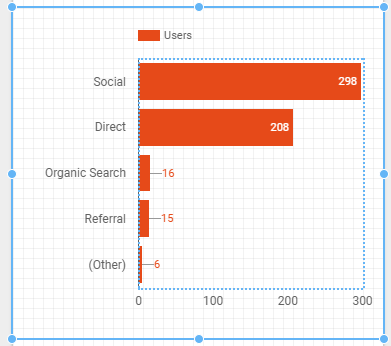 In this blog post I’ll show you how to build a simple but mobile-friendly Google Data Studio report. Data Studio reports are fantastic when viewed on a large desktop screen, as you can see a lot of detail about what’s happening in your data. However, the reports don’t always display well on mobile devices. 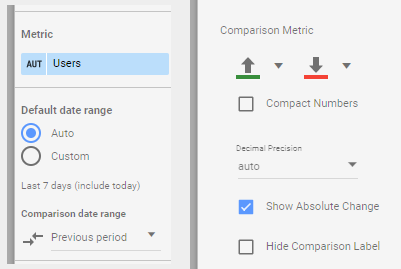 Therefore it could be a good idea to create mobile versions of key dashboards, so you’re able to quickly check out your data whenever you need to. In this post I’ll give an example of how to create a compact dashboard that will display nicely on mobile devices. Below is the embedded report, and I’ll show you the steps to creating this simple but mobile-friendly presentation. The first step is determining what size the report should be. Most Data Studio reports are designed for desktop users, and the report formats tend not to work very well on mobile screens. We first need to get an idea of how big a mobile screen is. 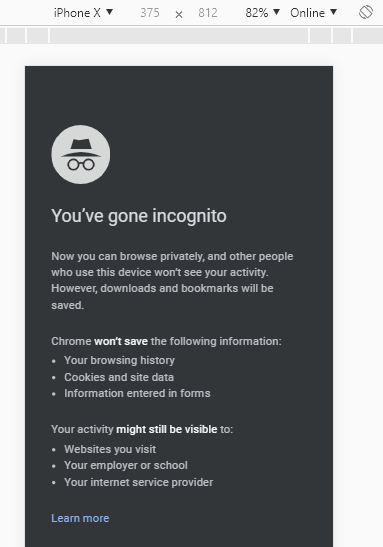 To do this we can use Google Chromes’ Developer Tools. Click on More tools and then Developer tools. We can then see how many pixels a mobile screen would normally display. In this example we can see that an Apple iPhone X would be 375 x 812 pixels. The next step is to create a Data Studio report. 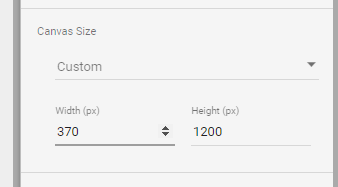 Once we’ve created it, the next step is to change the Canvas Size. I’ve changed the Width to match (more or less) the width of the iPhone X screen. The height I’ve made a bit longer to include more information. In this Data Studio report I will include four charts. A scorecard showing Users compared to the previous week. 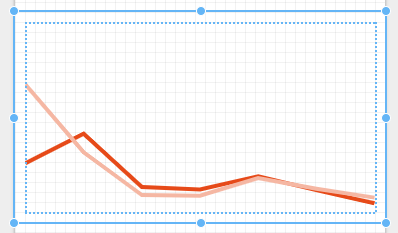 A time series showing Users compared to the previous week. A bar chart showing a breakdown of Users by Channel Grouping. 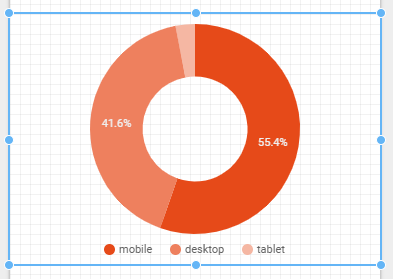 A pie chart showing a breakdown of Users by Device Category. 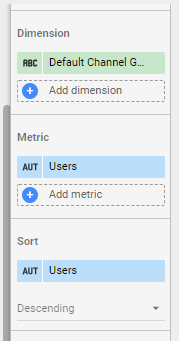 Set up the data and style tabs as shown below. Set up the data tab as shown below. And set up the Style tab as shown below. 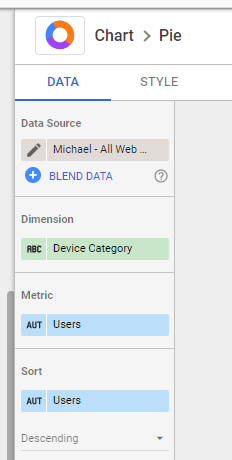 Set up the data tab to show a breakdown of Users by Device category. 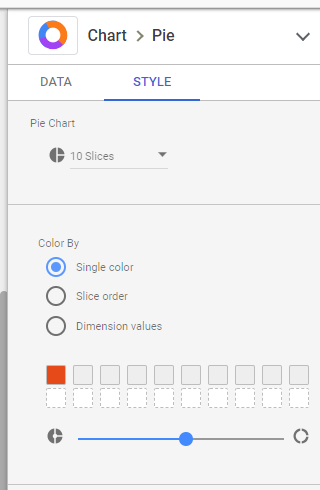 We can set up our pie chart to display only in a single colour. And that’s how you create a simple, mobile-friendly Data Studio report.